It happened during the harvest of 2006 in Caliboro. My friend Maurizio seemed a bit sleepy in the passenger seat while we were driving along the dusty roads of the area, enjoying the dry and warm weather of the Maule valley. Suddenly he shifted in his seat and with some urgency in his voice he intimated: “Stop, Stop”. I didn’t react immediately as I could see no obstacle on the way in front of us. Eventually I stopped and noticed that he was staring at a precise point of the old vineyard beside the road. 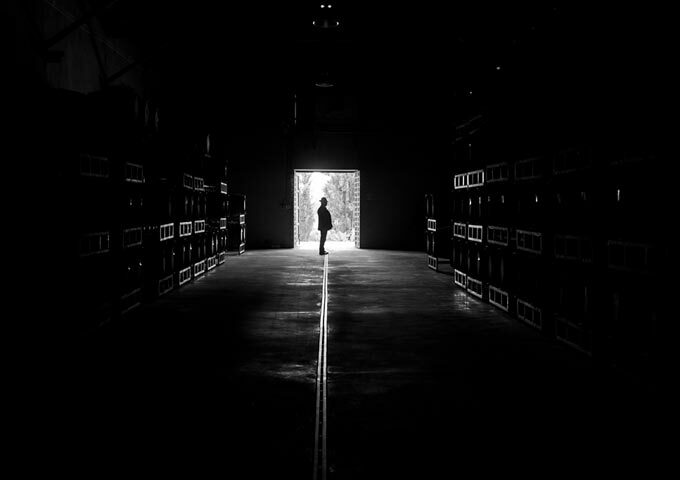 After moving back a bit Maurizio got out of the truck and without taking his eyes off the point that had called his attention he started to walk along the fence looking for a way to enter the vineyard. Unable to find a passage we decided to look for the main entrance and for someone who could show us around. 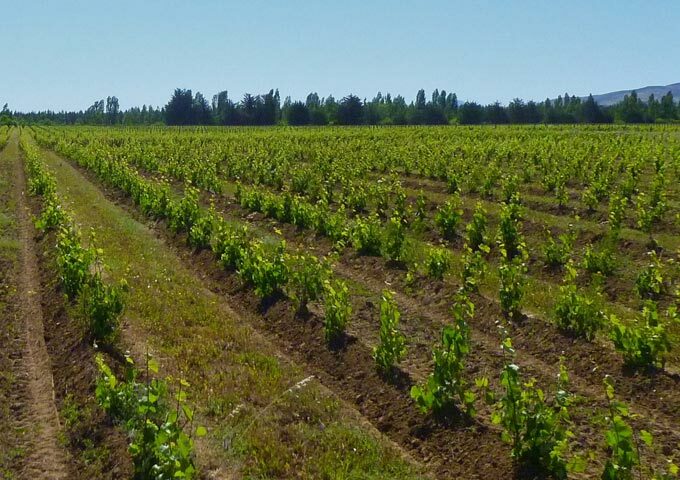 Finally we got access to the traditional dry farmed 60 years old vineyard, typical of the Maule Valley area. The farmer, owner of the land, proudly took us to the lower area of the field where he harvested the greater part of his grapes but Maurizio was only interested in going to the area which had caught his attention while driving. The farmer was rather disappointed when we reached it. The place, slightly higher than the rest of the field, was the least productive area where the farmer kept the Torontel grape producing very little wine for his own consumption. He admitted that on more than one occasion he had thought of uprooting the vines due to the low price he got for this grape variety. At this stage I thought, just for a moment, that perhaps the intense late summer sun, we had just arrived from the northern hemisphere winter, had affected Maurizio… anyway after trying the beautiful gold-coloured grape that tasted as sweet as honey, I asked my friend what he wanted to do with the Torontel: he answered with an enigmatic smile: “something special!”. 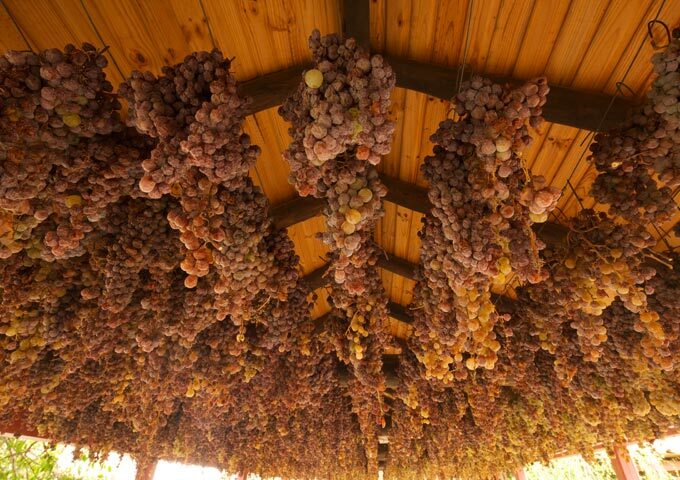 During the night we discussed Maurizio’s idea to recover the original role of the Torontel grape; the role that it fulfilled when it was brought to South America at the beginning of the colony. We decided to replicate the style of the wine that in Italy we call “vino da messa” precisely the kind of wine that Torontel had produced when the first vines of this grape were planted in Chile. 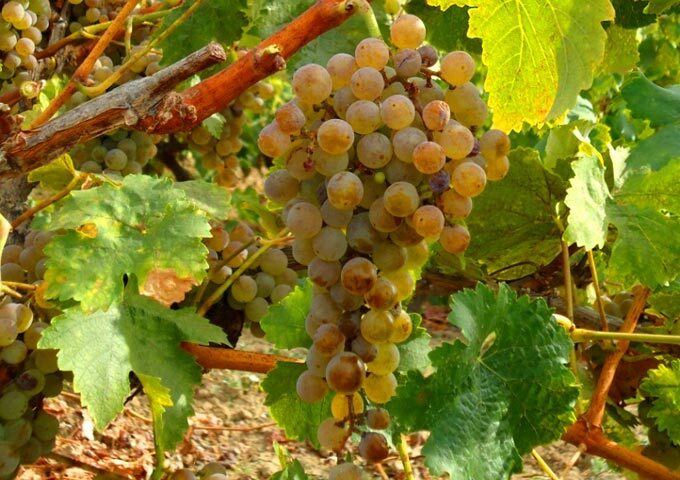 The process we followed was to leave the grapes longer on the plant to ripen further until the skins began to wrinkle slightly, but not too long in order not to lose the natural acidity. At the chosen time we harvested the bunches with the utmost care and we were faced with the problem of where to keep them intact and protected from rain until they reached the desired level of dehydration and concentration. We decided to use the corridors of the old colonial house next to the cellar hanging the bunches one by one from the beams of the roofing. 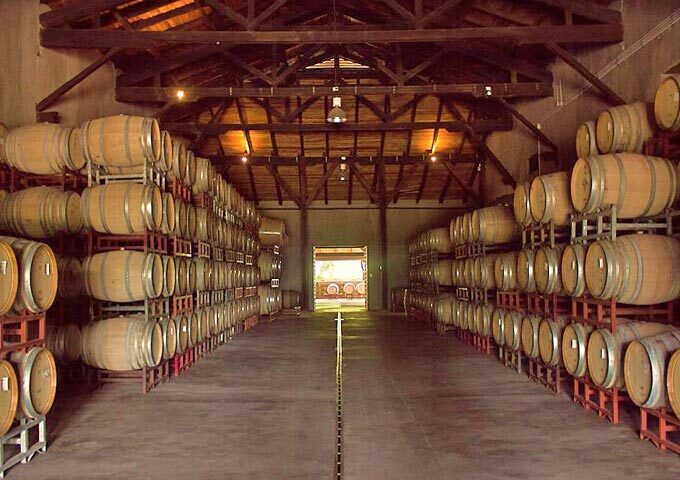 We had to wait until July to eventually “distemm” the bunches by hand and fill French oak barrels with the must. We then sealed the barrels and allowed the fermentation to follow its natural course. After almost one year in wood we bottled the wine. 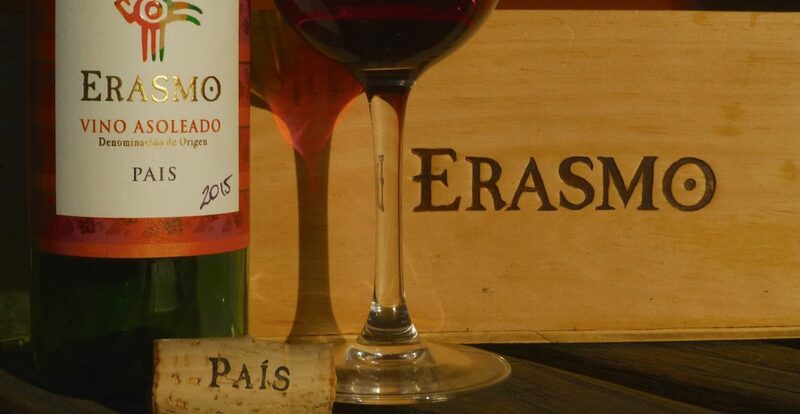 Today we are very proud to present a wine that I dare to define “nectar of the gods”. A wine that represents the renaissance of the Torontel grape which arrived in South America at the beginning of the colonization period and also represents the renaissance of the Maule Valley, the historical and traditional wine producing region of Chile where possibly other treasures await discovery. 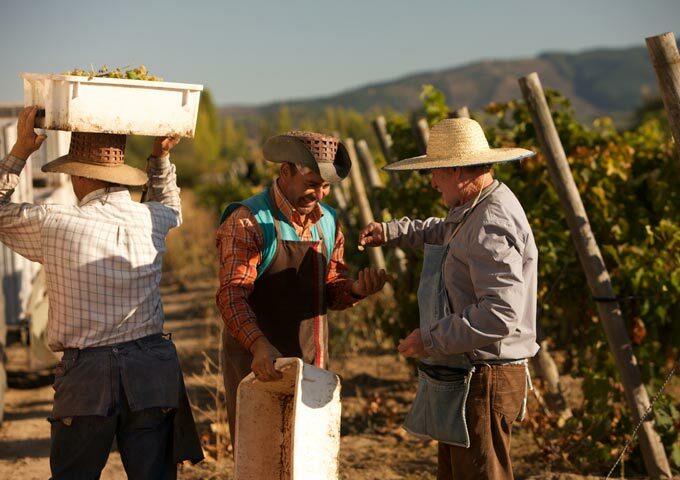 Erasmo Late Harvest Torontel is the result of the hard work of the Caliboro team, a team were each person has contributed above all passion. Producing a wine such as this one is not an economical venture, it is an expression of love towards mother earth.